Julian Jackson is co-founder, co-director and co-curator of Metaphor Contemporary Art, a gallery and social sculpture, along with his artist wife Rene Lynch. 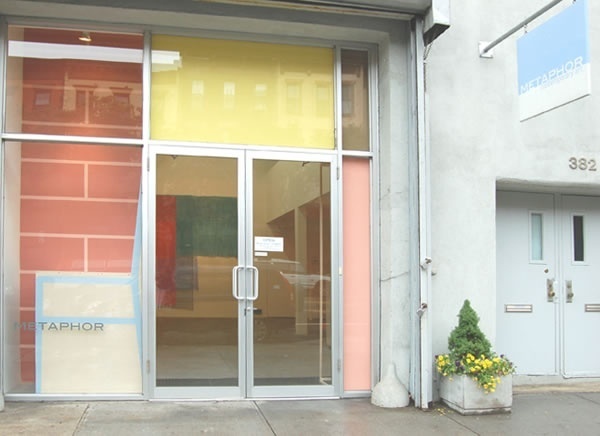 From 2001-2010, Jackson & Lynch created over 85 solo and group exhibitions of new works by hundreds of artists at Metaphor Contemporary Art gallery in Brooklyn, NY. Metaphor hosted numerous artists’ and critics’ talks and panel discussions, and published several exhibition catalogs. Metaphor exchanges with the broader NYC and international art community through an extensive archival website. Since closing Metaphor Jackson & Lynch have co-curated and helped organize highly successful arts benefits for Barack Obama in 2008 and 2012, and Hillary Rodham Clinton, in 2016. In 2015 Jackson & Lynch curated an arts based fundraiser for the Costa Rican White Hawk Foundation in conjunction with Yoga Sole at the Brooklyn Botanic Garden. In 2017 the team co-curated NY Artlab for the Umeda Gallery, Osaka, Japan with Shuhei Yamatani of HPGRP. They also travelled to Osaka to participate as on-site artists, creating work and interacting with the public each day during the run of the exhibition which drew nearly 10,000 visitors. Jackson & Lynch also manage the estate of abstract painter Ward Jackson, 1928-2004. In 2012 they curated a major career survey at David Richards Contemporary in Sante Fe, NM with a catalogue featuring essays by Lily Wei and Stephen Westfall. In 2014 they curated an exhibition of Jackson's seminal black & white paintings of the 1960s at Minus Space Gallery, Brooklyn, NY and designed and published a catalogue featuring an essay by Eleanor Heartney. Since 2016 Ward Jackson's paintings and works on paper have been represented by Findlay Galleries, New York City and Palm Beach.